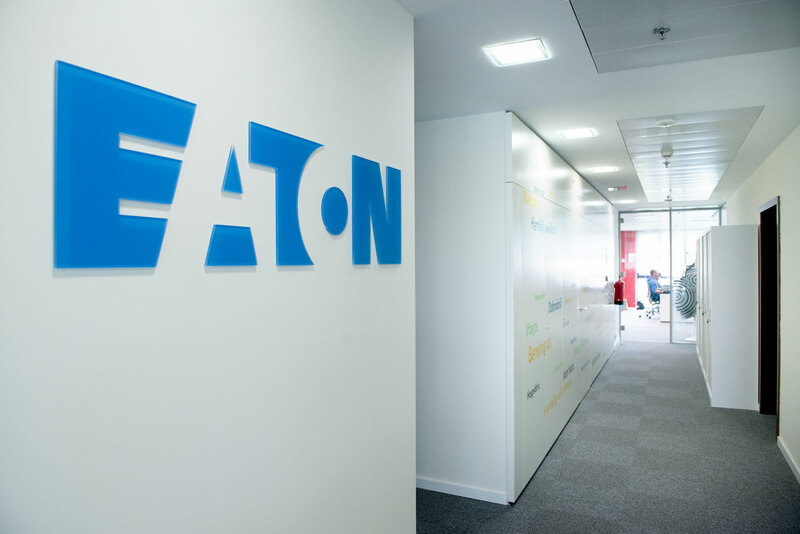 Eaton is an American company in energy management which provides efficient solutions to manage electrical, hydraulic and mechanical energy in an efficient, safe and sustainable way. 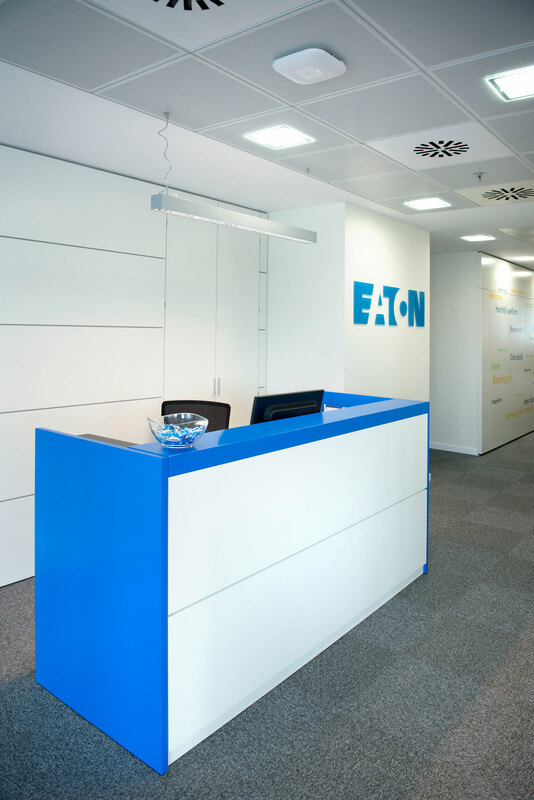 Eaton has two divisions in Spain which is distributed into two sectors; Electrical and Hydraulic. 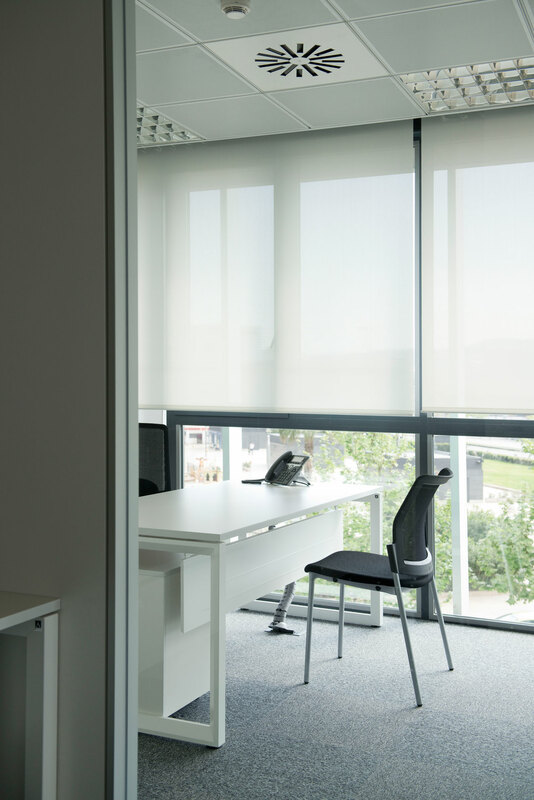 The central division, recently opened, is located in the INBISA tower in 'Plaza Europa', in the Llobregat hospital, in Barcelona. 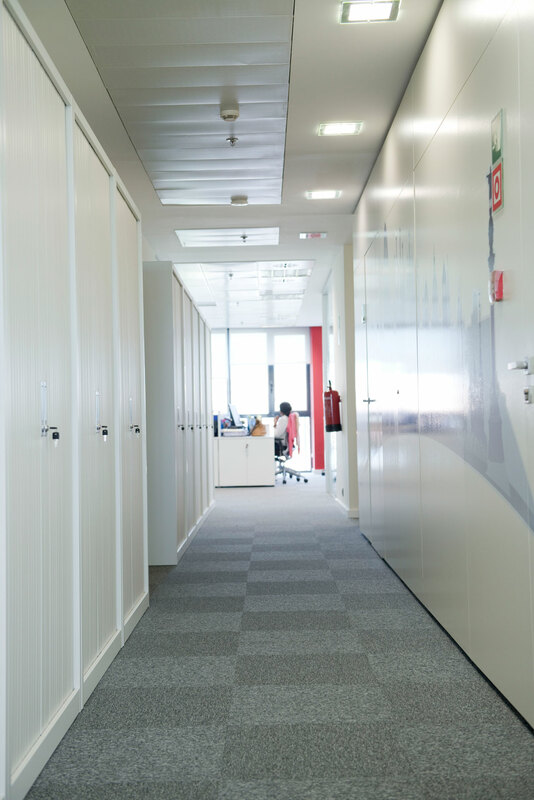 The changes to the new offices, with a total surface area of 800 m2, have sought to give a new image to the company. 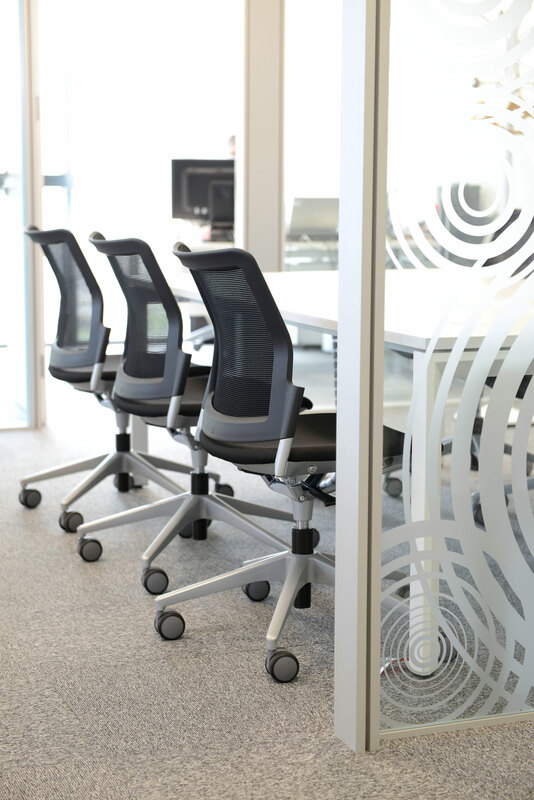 A transparent, luminous and current image, very different to the installations that they have had up to now. 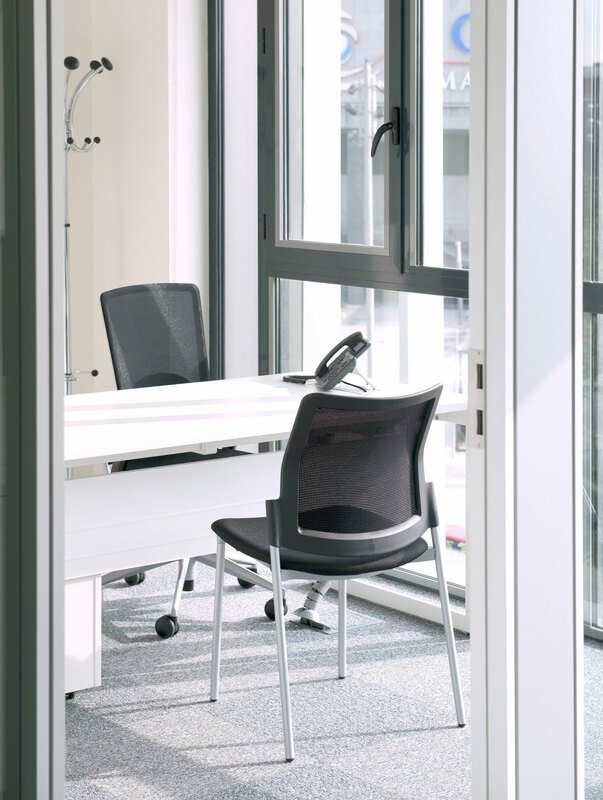 The old offices were very compartmentalised, with little exterior light and functionality. 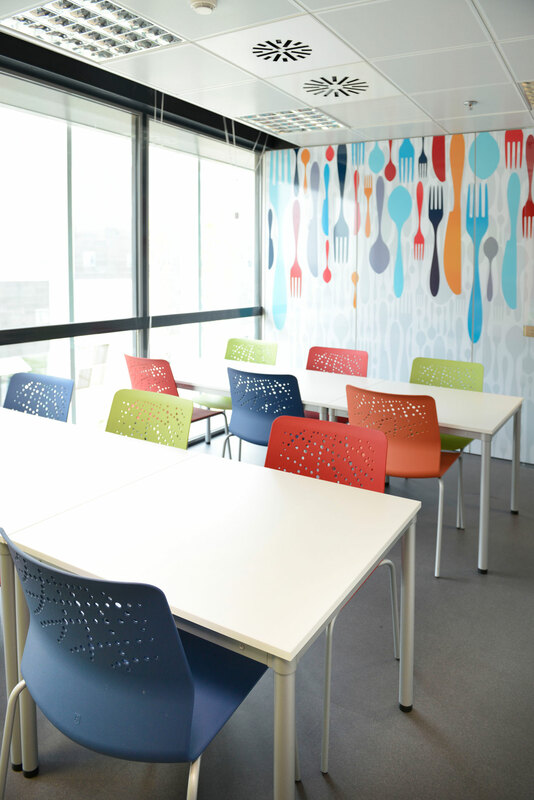 The challenge of this project was to facilitate the transition of the staff, who were accustomed to working in private cubicles, to open offices, with shared work spaces and flexible and versatile meeting rooms. 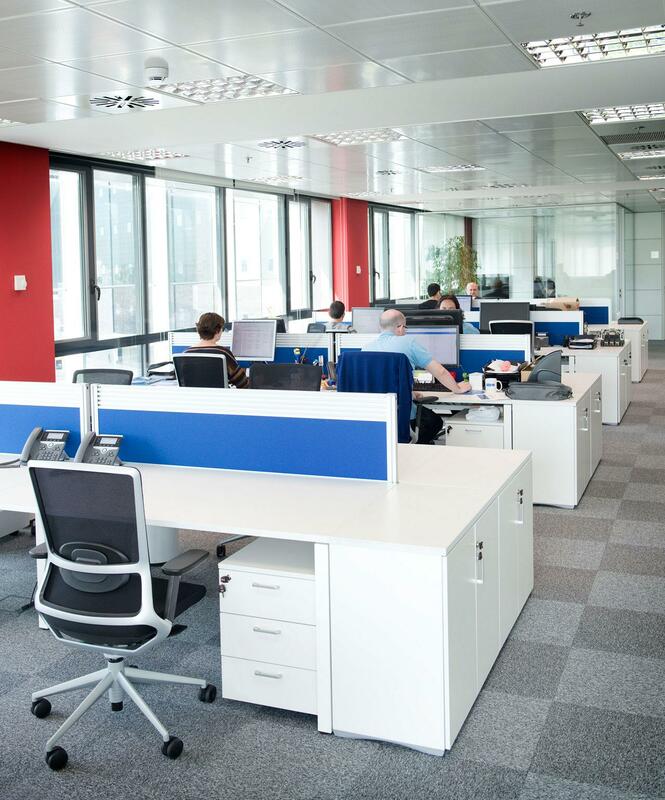 The company has been clear since the beginning inthat they wanted quality equipment, with high performance, dynamic and functional, so that they could take advantage of the optimal space. A furniture solution which was entrusted to Actiu. 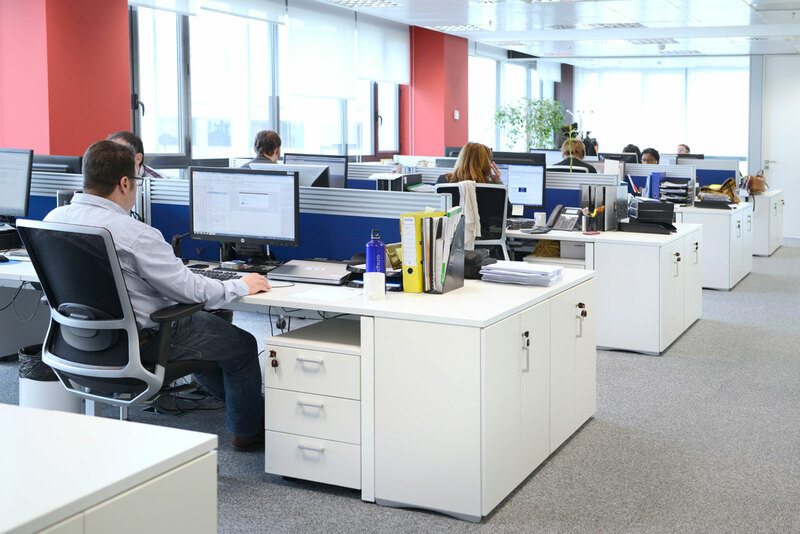 The composition of the work stations have been carried out following the bench system. 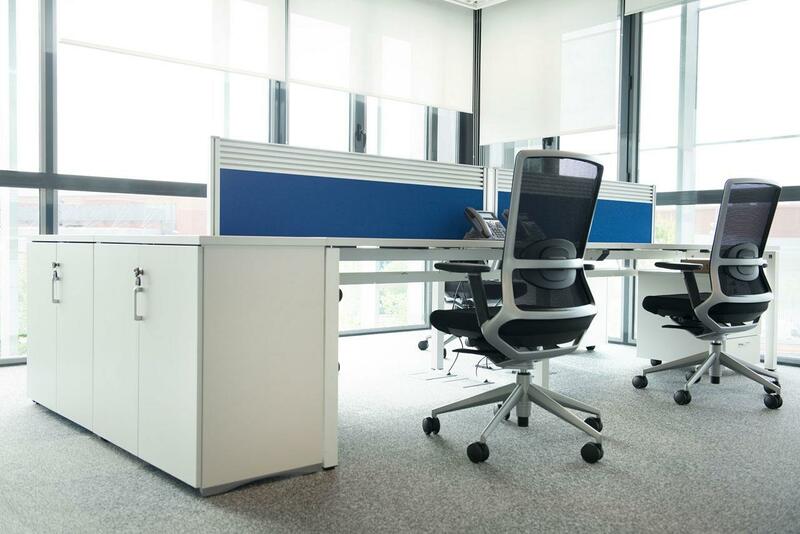 The Vital Plus desk, was chosen for its multiple configuration options: as an individual, collective desk, with leg frames or closed frames or even including a sliding tabletop. 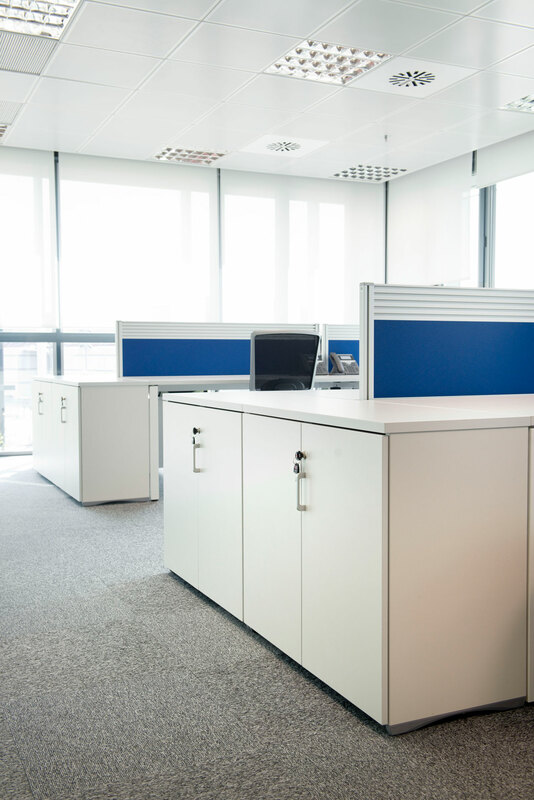 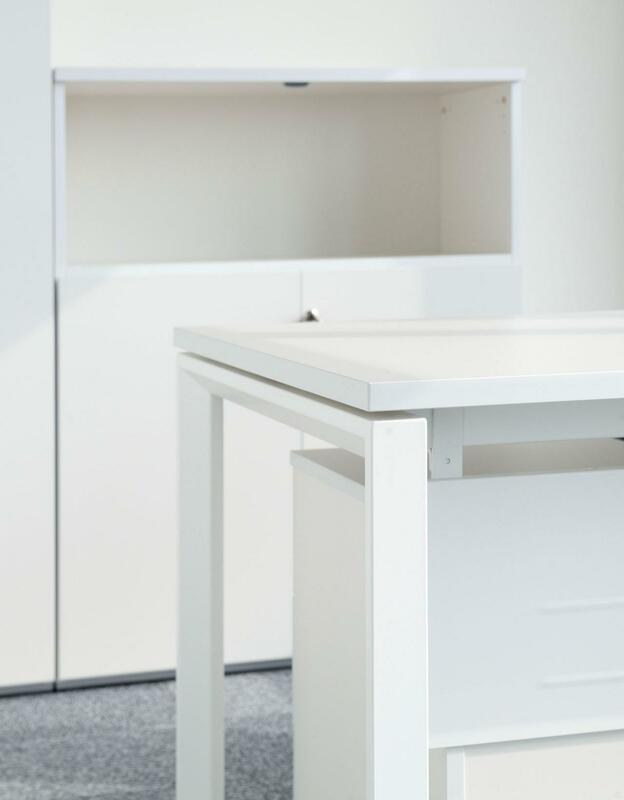 To facilitate personal documentation filing, a pedestal on wheels has been placed in each workplace, meanwhile the metal cabinets at desktop height have been designed for general use while at the same time defining each area. The TNK 500 office chair, awarded the Red Dot award for the design of the product, was conceived with a timeless and elegant design. 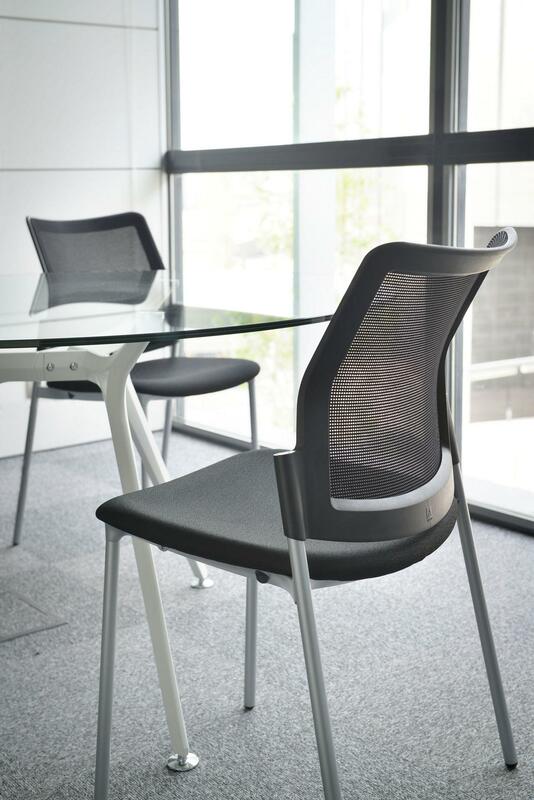 Visually high quality using value added materials, sustainable and respectful towards the environment. 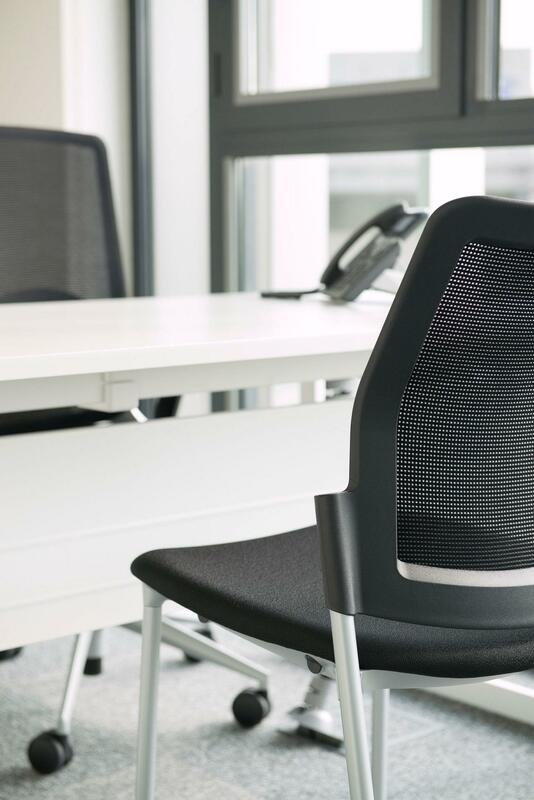 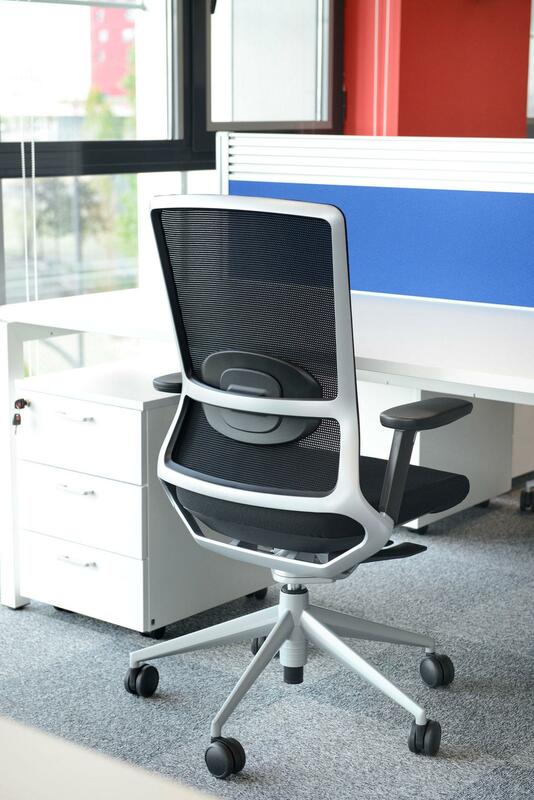 This chair was selected to complement the workstations for its comfort that it provides to the user. 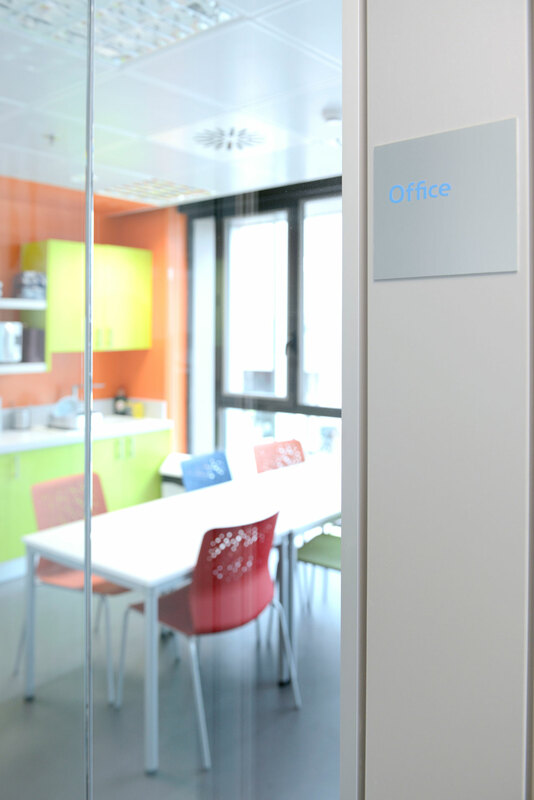 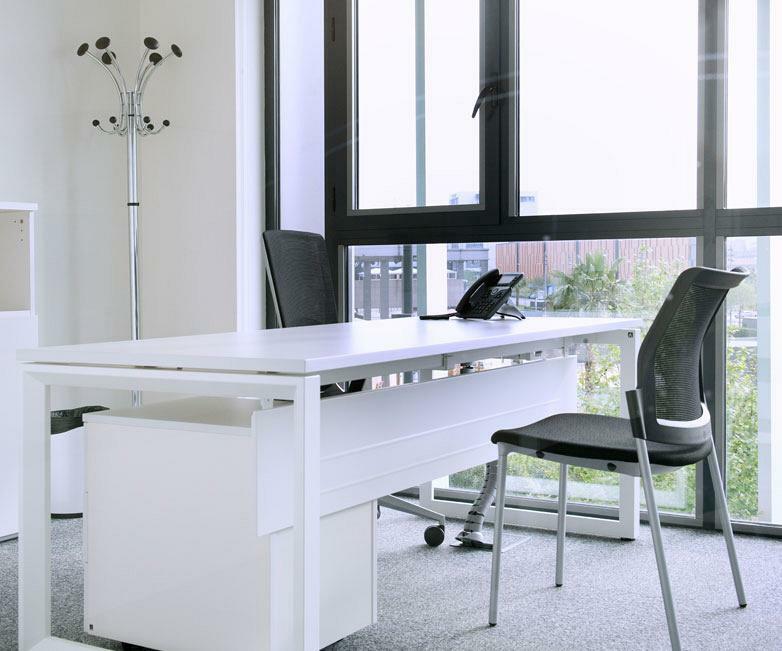 The office area emphasises clarity, enhanced by the white office furniture, the amplitude of the windows and glass decorated with stickers to define rooms. The corporate blue is present with some fun touches such as the Split desktop screens in the operating positions, the logo and the customer service counter. 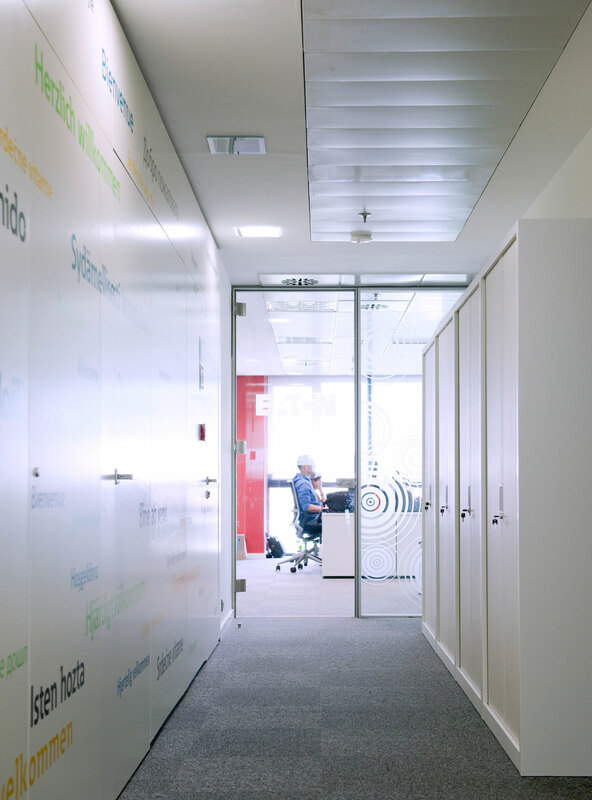 The aim was to reflect one of the company's values: transparency. 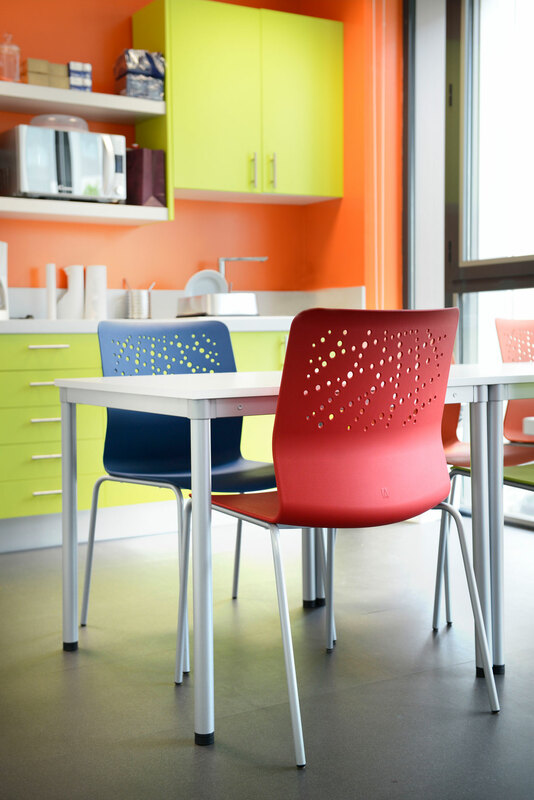 This space designed to be a kitchen-canteen is an authentic explosion of colour. 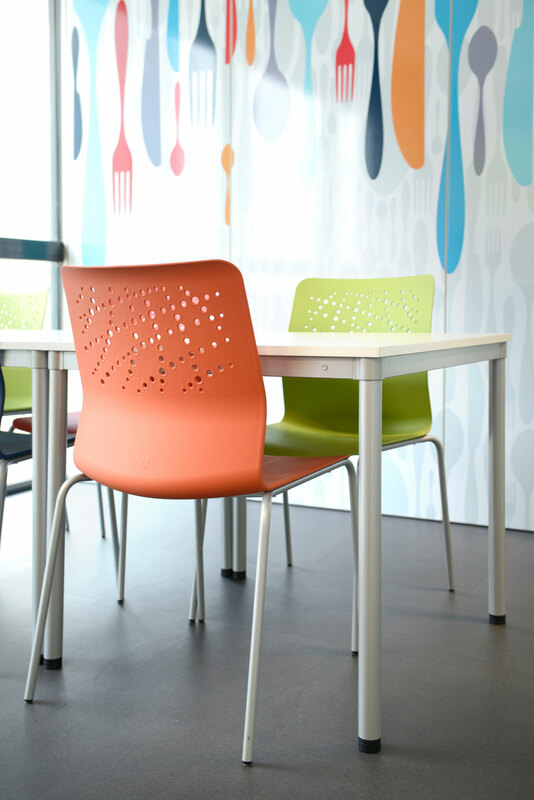 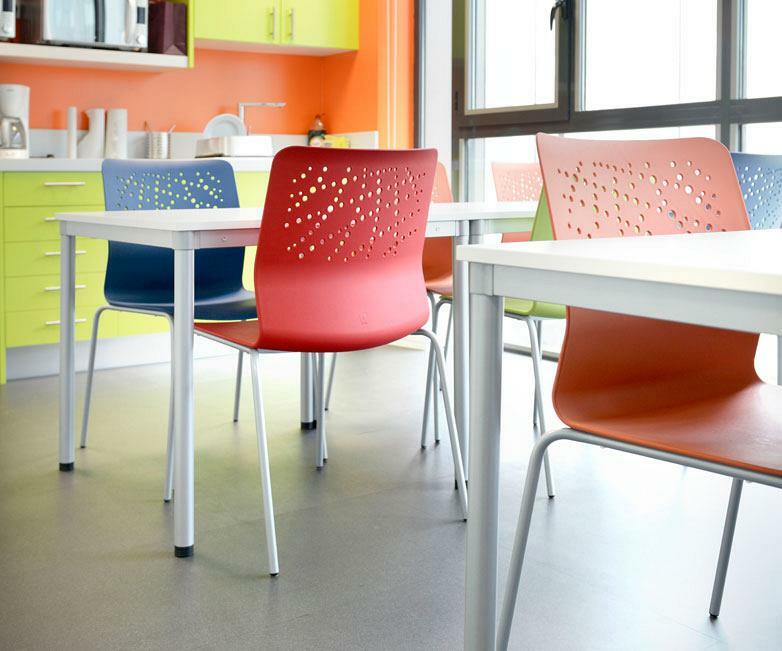 From the pistachio of the kitchen furniture to the orange walls, the extensive colour range joins the Urban block, a chair with more than twenty different models within the same program and which furthermore offers a range of colours in more than ten shades. 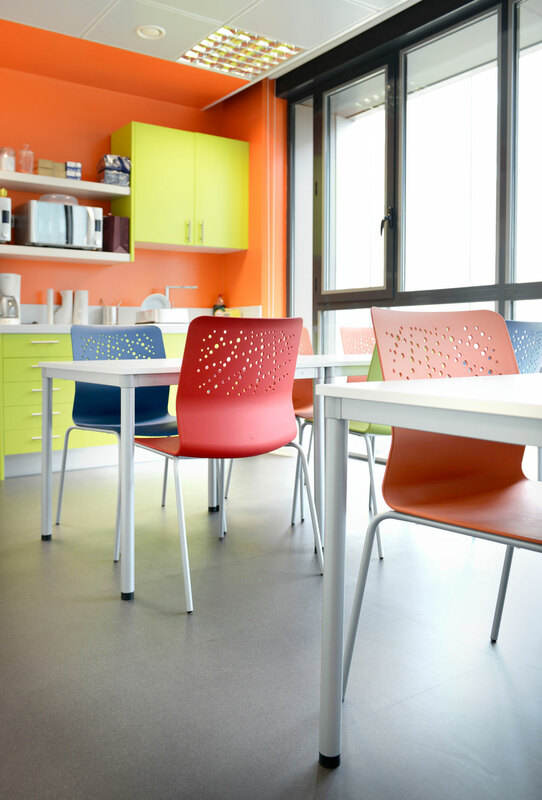 The combination of colour and furniture has created a relaxed and informal atmosphere for those moments of rest among colleagues. 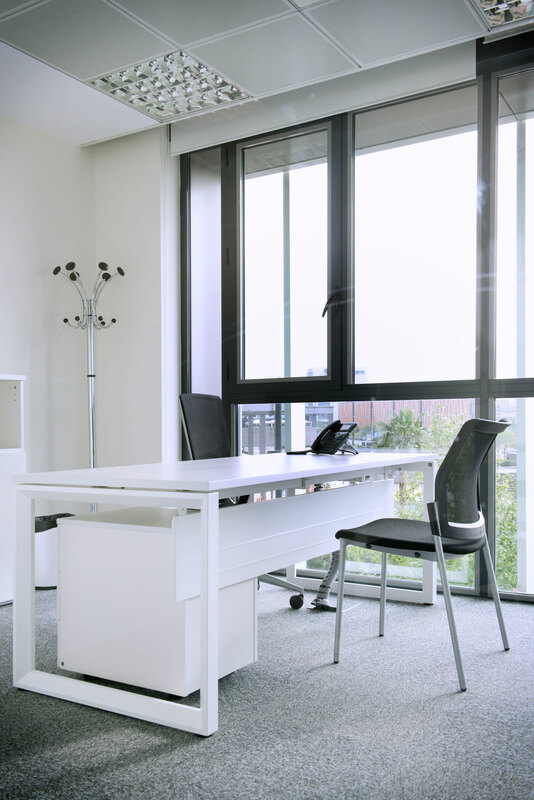 The Dynamic desk, very functional, provides a point of sobriety to the room. 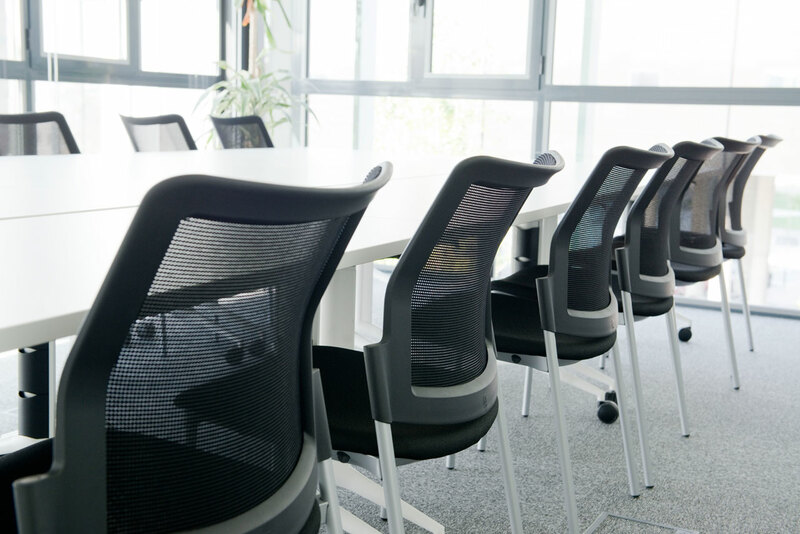 For meetings, various rooms have been designed with different approaches to cover the different needs arising. 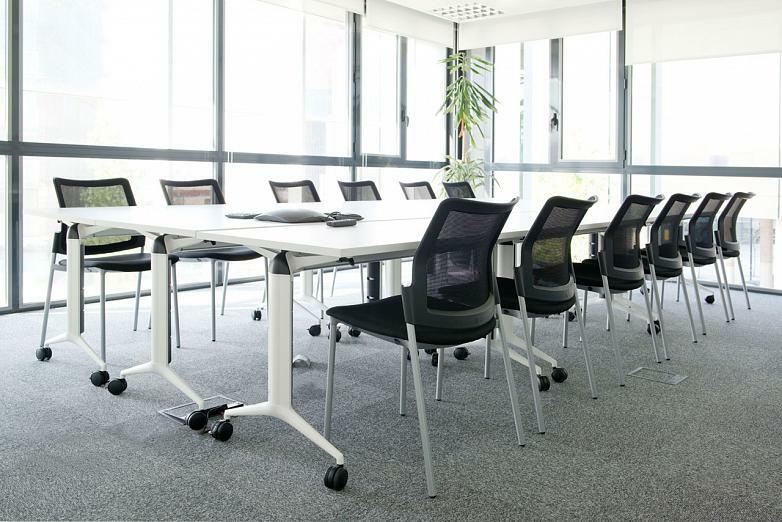 In one of them, the Vital Plus desk and the Urban Plus chair with castors and an elastic mesh back which surrounds the user´s back to provide great comfort, have been placed. In another space for meetings, one has opted for the Trama 80 desk, a desk with wheels and a folding surface, ideal for flexible design environments, where the requirements can vary and freedom of movement is sought. 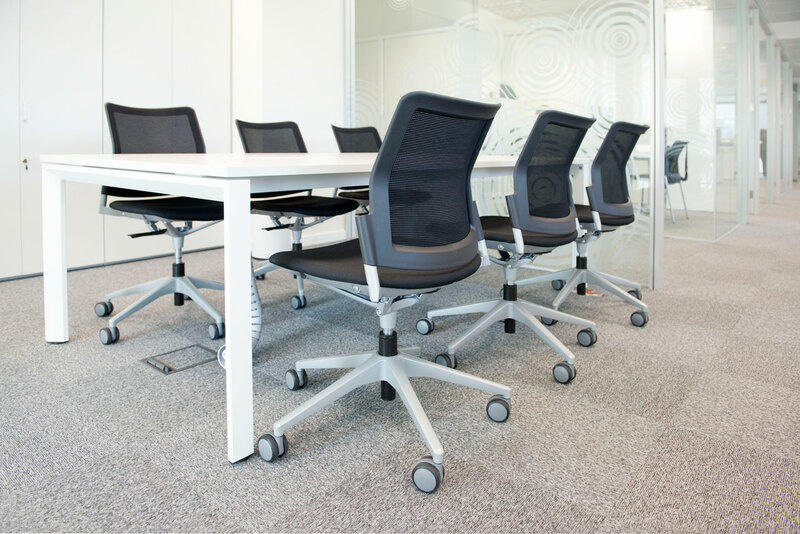 In this case the Urban plus is present in its 4 leg version. 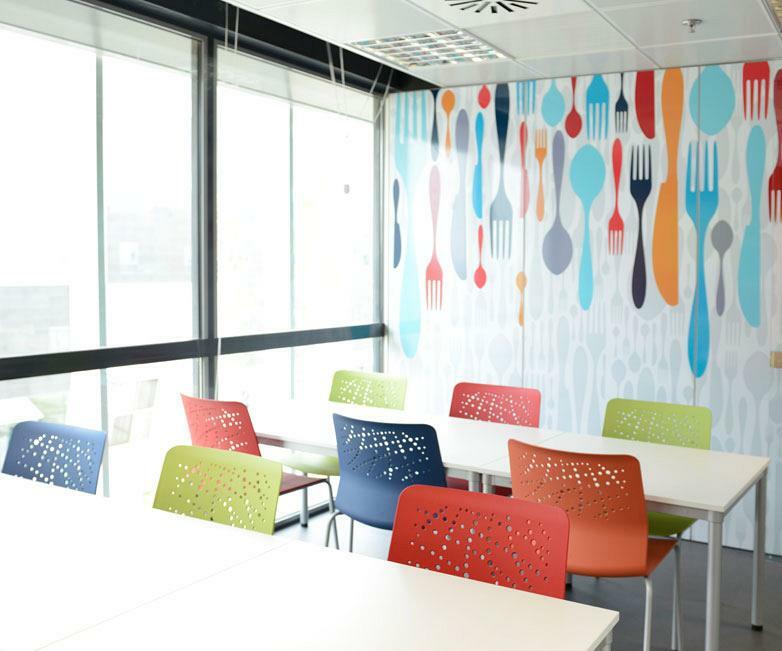 In this way, the company has its own autonomy to design its meeting areas, adapting itself to every occasion.